Young Thanos has been revealed and he kind of looks older than the regular version. 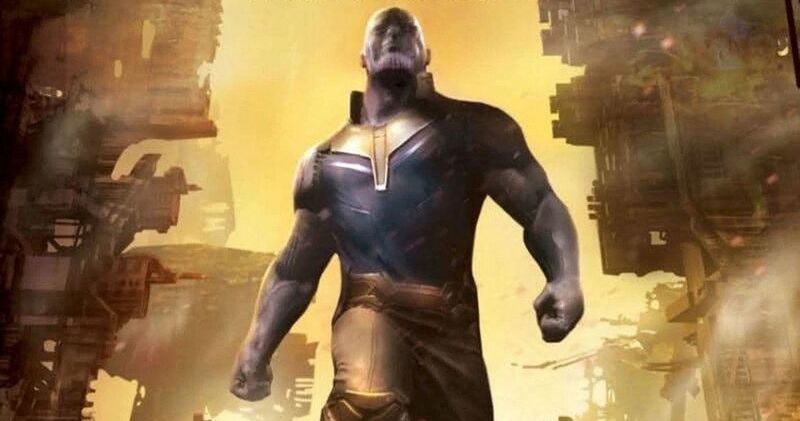 Some recently released concept art from Infinity War has been released online, highlighting what the Mad Titan could’ve looked like in his younger, pre-Decimation days. With most of the attention focused on the upcoming Avengers: Endgame, extra pieces of information and concept art from the last movie have started to gradually make their way online, shedding more light on the epic team-up movie that has set the stage for the most anticipated movie of 2019. Infinity War artist Justin J. Sweet shared the image of young Thanos this morning on his Instagram account. We can see the Mad Titan sitting on a huge throne, which is levitating. The sketch features some different clothing than we have seen Thanos wear in the past along with a face that actually makes him appear a bit older than he is shown on the big screen. Obviously, this look was made very early on in the development process, but it’s still cool to see how the villain would have appeared had the movie gone into his past. Infinity War screenwriters Christopher Markus and Stephen McFeely have said that the first movie was originally supposed to have a lot more of Thanos’ backstory other than the scene where he shows up to Gamora’s planet and recruits her. The initial idea was to have more of the “perfect” version of Titan along with times where Thanos was dominating before his quest to obtain all of the Infinity Stones and his success of wiping out half of the universe. Related: Does Nick Fury Quantum Pager Theory Explain Captain Marvel’s Absence in the MCU? Before Infinity War hit theaters, actor Josh Brolin shed some light on his Thanos character, admitting that he didn’t have the best upbringing because he looked so much different from everybody else. While he was looked at as being different, the Mad Titan is also extremely intelligent, which was one of the reasons that Brolin was attracted to the role. Additionally, there are more than a few people that believe that the villain is misunderstood and that he was right about wanting to wipe out half of the universe to save the other half. Thanos is a complicated character, one that we’ll hopefully learn more about when Avengers: Endgame hits theaters in April. That being said, Infinity War was very much the Mad Titan’s movie, so it seems logical that the Russo Brothers will lead us down the path of finding out what happened after the decimation with the good guys. There’s a lot to explain and there have been many fan theories trying to explain what’s going to happen, but Marvel Studios has a tight grip on this project and there have barely been any leaks at this time, which is pretty impressive in this current climate. You can check out young Thanos below and see what could have been, thanks to Justin Sweet’s Instagram account.